The packets of drugs seized from the couple. 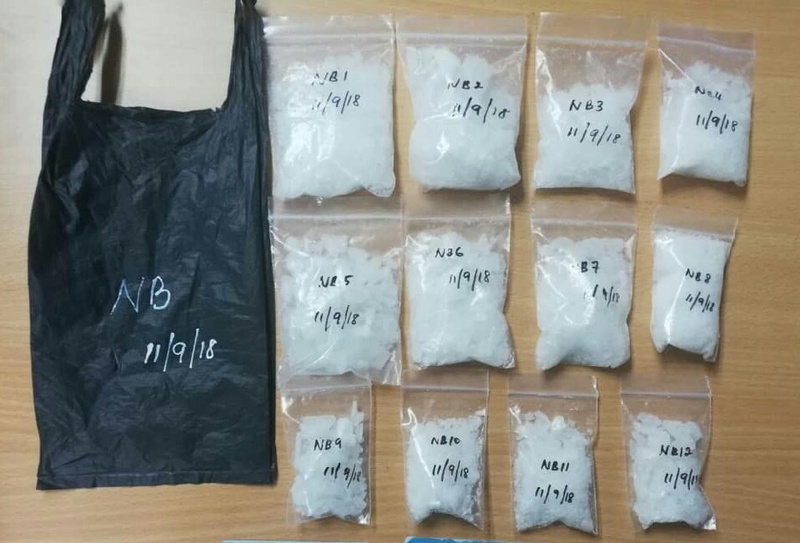 KUCHING: A couple was arrested by Padawan Police Narcotic Department personnel in their house at Taman Tematu Hill, Jalan Stephen Yong near here last Tuesday afternoon for drug peddling. Padawan Deputy Police chief, DSP Merbin Anak Lisa said the couple was arrested and various types of drugs were seized from them. He added that 12 transparent plastic packs of various sizes containing crystalline lumps suspected to be ‘syabu’ weighing a total of 296.68 grams with a market value of RM45,000 were also seized. Police also seized a grey Proton Wira car worth RM10,000 and cash amounting to RM5,294. The couple is being remanded for seven days. They will be charged under Section 39B of the Dangerous Drug Act,1952 which carries the mandatory death sentence upon conviction. Couple arrested for drug peddling 0 out of 5 based on 0 ratings. 0 user reviews.